The oil is extracted by steam distillation of twigs and cones of fir, although there is also a way to get it through steam distillation of pine needles. It is composed of borneol, bornyl acetate, b-phellandrene, b-pinene and 3-carene. The oil has a fresh forest smell, is pale yellow and of low viscosity. One of the reasons for the popularity of this oil is its availability. Because fir can be found in most parts of the world. The therapeutic properties of pine oil due to its antimicrobial, antineuralgic, Antirheumatic, antiseptic, cholagogue and tonic properties. It is also a stimulant of the nervous system. Give specific application of pine oil. Metabolism: pine essential oil stimulates the metabolism. It will be useful in case if you are going to undergo cleansing of the body. In addition, fir oil has diuretic properties and helps remove excess water from the body in a natural way. It also has a positive effect on the condition of the kidneys, helping them eliminate toxins. Fir essential oil is used in the case of food poisoning because it stimulates the body to handle and faster to remove harmful substances. If you have problems with digestion use 2-3 drops of oil to steam inhalation. 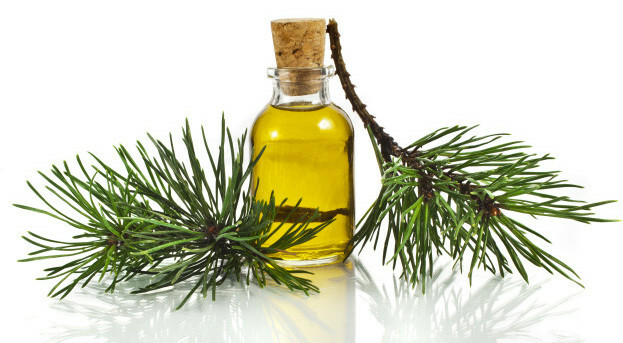 Pain: pine oil is considered an analgesic and helps relieve pain from arthritis, rheumatic diseases and joint problems. It is also an anti-inflammatory agent, that is, reduces the inflammation and redness of the affected areas of the body, simultaneously eliminating the pain. Stress disorder: fir oil effectively relieves mental stress and improves mood. To get rid of drowsiness or fatigue, add 2-3 drops of oil mixed with water in an aroma lamp and leave the room for 15-30 minutes. Eye health: macular degeneration, cataracts and several other eye diseases due to the presence of free radicals in our body. They cause degradation of the cells. And fir oil can neutralize free radicals due to its antioxidant properties. Infections: pine oil has been proven in combating urinary tract infections. For the treatment of cystitis, or prostate problems, add 10 drops of oil into a warm bath. Injury: the antiseptic properties of pine oil allow its use for the treatment of cuts and sports injuries. In addition, it effectively treats fungal infections of the feet. Respiratory problems: Hippocrates, father of Western medicine, studied the impact of needles on the respiratory system. And appreciated fir oil, healing properties which facilitate the expulsion of phlegm and mucus from the respiratory tract. By reducing the amount of mucus in the respiratory tract, your body is able to deal with the initial stage of the infection faster. Oil can be used for the treatment of asthma, bronchitis, cough (including smoker's cough), or pain in the throat. For steam inhalation only takes 3 drops of oil.You can also use a few drops to a diffuser or 8-10 drops in bath. In addition, fir oil is used for inflammation of the gallbladder and gallstones. Pine oil is also added to many household chemical products because of its powerful and pleasant aroma. These products include aerosols, volatile liquids and room fresheners. Heat six cups of water. Pour hot water into a large bowl and add a Cup of soap flakes. Stir the mixture very slowly, so that it is not bubbled. If this happens, stop stirring and remove the foam from top of mixture. Add a Cup of pine oil, continuing to slowly stir the mixture. You will get concentrated product, so you can dilute it with equal parts water when ready to use it. This mixture can be used for cleaning kitchen surfaces, cleaning floors and bathrooms. Skin care: fir oil helps to cope with various skin problems. In the treatment of eczema, psoriasis, scabies, ulcers or other skin irritations, use 2-3 drops of oil to massage the affected area. To fight cellulite regularly RUB 2-3 drops of oil in the problem areas of the body. You can also pour warm water and 8-10 drops of oil and make flavorful and healthy bath. Cosmetics: oil of fir cosmetics gives sweet aroma. Therefore, this product is used when creating perfumes and aromatic products. In addition, using essential oils of silver fir can bring lice from the hair. And it is often used for relaxation and therapeutic massage. That's why you often see pine oil in Soaps and massage oils. To make your own massage oil mix 25 drops of fir oil with 15 ml of jojoba oil. Young children and the elderly are not suitable for grinding products containing essential oil of fir. This may lead to pressure rise. However, children kindergarten and school age it is possible to do inhalations (10 minutes) with fir-tree oil for the treatment of respiratory diseases. Fir oil has low toxicity but it can irritate the skin and mucous membranes. In addition, in large doses it causes breathing problems, so use with caution. Domestic consumption of coniferous essential oil is a danger to the kidneys, so it should not be given to people suffering from kidney disease. When adding to lotions or other skin products, always use the oil in diluted form.